Caption slip reads: "Photographer: Monte[verde]. Date: 1958-07-04. Assignment: Cubs vs L.A.Ernie Banks to Tony Taylor to put out Carl Furillo at 2nd, 1st inning. 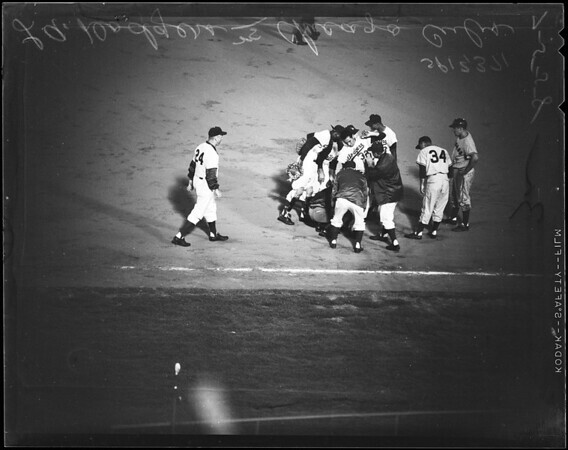 2nd inning: Koufax in collision with Bolger while covering 1st Larker fielded to Koufax".